In the summer of 1970 legendary but self-destructive director Orson Welles returned to Hollywood from years of self-imposed exile in Europe and decided it was time to make a comeback movie. Coincidentally it was the story of a legendary self-destructive director who returns to Hollywood from years of self-imposed exile in Europe. Welles swore it wasn’t autobiographical. A maverick director, shady dealings, and the Iranian revolution make up the often incredible true story behind The Other Side of the Wind. Packed with revealing first-hand accounts, Orson Welles’s Last Movie recounts the making and downfall of the ill-fated comeback of the film industry’s most talented prodigal son. Everything Welles ever did was a kind of adventure: The Other Side of the Wind—a film made up as it went along—was perhaps the greatest, maddest adventure of all. Josh Karp’s absolutely riveting book recreates the whole tragic, comic enterprise, creating an unforgettable portrait of a middle-aged Welles…Like some semi-mythic warlord, Welles lays about him, bullying, terrifying, charming, lying, cheating, cajoling, manipulating, destroying, creating in pursuit of a goal he himself barely understands. 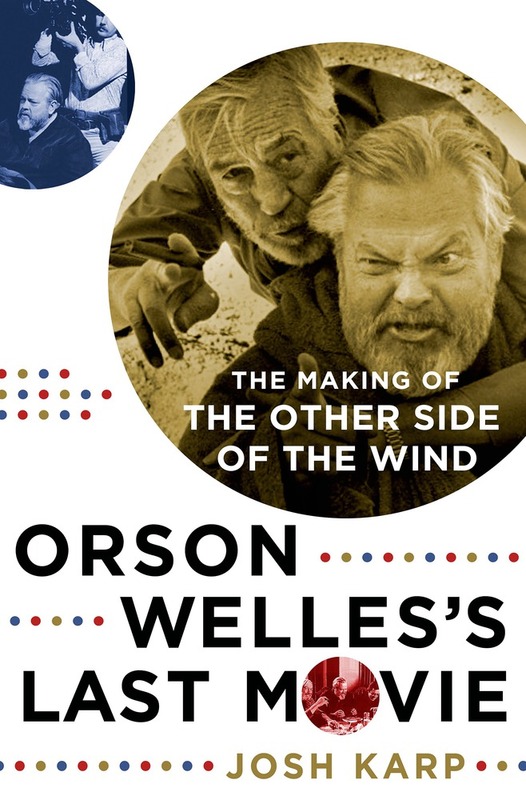 Orson Welles’s Last Movie is a massive contribution to Welles scholarship, and an unputdownable read. Like the best Hollywood stories, Josh Karp’s entertaining book veers between slapstick and tragedy, and is filled with larger-than-life characters who are charmed and doomed by their own hopefulness and cynicism, charisma and buffoonery. With wit and insight, Karp has made a valuable contribution to the enduring legend of Orson Welles, and proved once again that in the movie business, improbability may be the one enduring truth. Josh Karp has written a Hollywood epic as grand as any shot by Frank Capra, Preston Sturges or Orson Welles. In the end, this book is about more than a movie that was never quite finished—Karp has added an indelible chapter to the literature of show biz.